Guests of Mir Hotel can enjoy European cuisine in the on-site modern restaurant, which also serves breakfast. 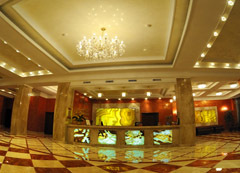 Set near the city centre, the hotel offers good access to Rivne’s attractions and entertainment. Shevtchenko Park with fun fair and Drama Theatre are 10 minutes’ walk away. Please mention "Mathematics Conference EUMLS 2015" and ask a confirmation. 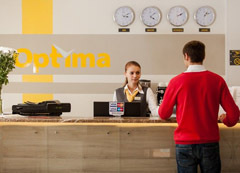 Located a 2-minute walk from Troyand Alley, Optima Rivne Hotel offers free WiFi. The rooms feature air conditioning, a flat-screen TV and a private bathroom. Guests can dine in the hotel’s restaurant, and various dining options are available within a 10-minute walk away. Other facilities include a 24-hour front desk and luggage storage. The Ustya River is a 12-minute walk away, and Rivne Train Station is 1.3 km from Optima Rivne Hotel. Shuttle service is provided at surcharge. It is included the breakfast, Wi-Fi Internet access, taxes (except for tourist tax).